DC Cherry Blossom Tours Latest Update: Don't miss out the National Cherry Blossom Festival from March 21st to April 14th in Washington DC. The peak bloom in 2019 will fall sometime between April 1 and 5 according to the forecast! Each spring, the trees in Washington, DC take bloom, beginning one of the country’s loveliest celebrations, the National Cherry Blossom Festival. Book your trip now to see this vibrant display of pink and white in this city full of history! 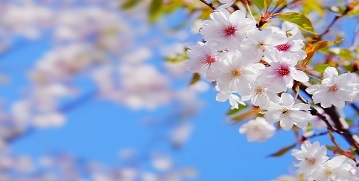 As a gesture of friendship and continuing alliance, Mayor Yukio Ozaki of Tokyo, Japan gave Washington, DC a gift of more than 3,000 Japanese cherry trees. 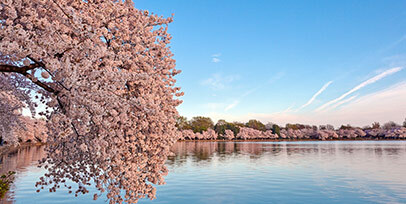 Every year at about the same time in spring, the trees bloom magnificently, filling the Tidal Basin of West Potomac Park with bright pink blossoms and flower petals. 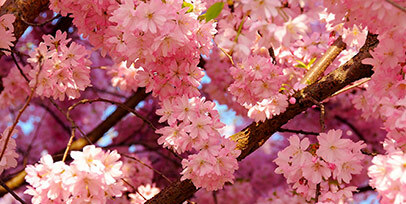 More than 1.5 million people from all over the world travel to see the beautiful trees in bloom each spring.